As I sit here and type, the weather outside is as gray and gloomy as the political atmosphere in our nation. It's all too easy to let that gloominess seep into my attitude. Yet, it was only a few days ago that we had a gorgeous sunny autumn day. We took our youngest grandson to the park and enjoyed a couple of hours of watching him play on the playground equipment and throw rocks into the river. Why is it so easy to let the gloomy days rob us of the memory of God's blessings? Journaling the blessings helps me not to forget the blessings of those sunny days, and also helps me to see that God is still blessing me even in the middle of the gloomy ones. He's still the same unchangeable good, good Father that He has always been and always will be, no matter the weather. -a sturdy new roof on our house before we moved in-something I don't take for granted in this rain! Aren't the sunrises beautiful this time of year? Lovely list, Elizabeth. You encourage me to keep on going. Yes, we are the die hards! Go us!!! I have been keeping a gratitude journal for a few years now as well. I am not always the best at being consistent in recording but I am always noticing things I am thankful for. Do you post your list? 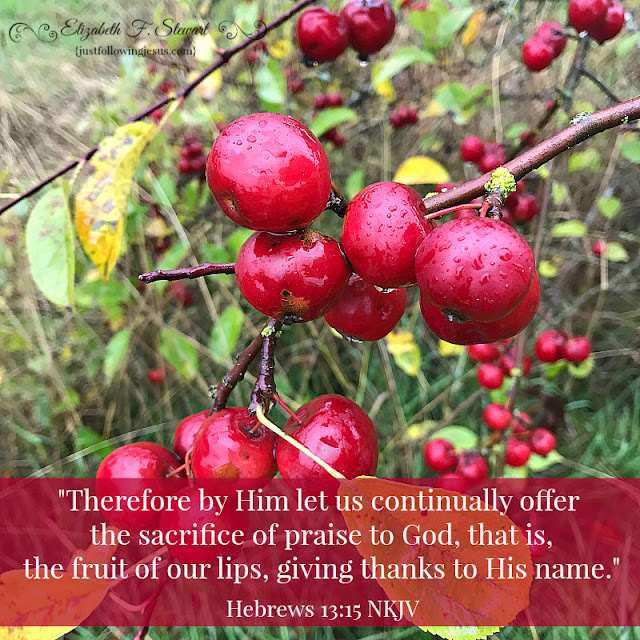 Ann Voskamp used to do a link up of gratitude posts which I miss so much! Ann Voskamp's Joy Dare keeps my life looking up! Thanks for continuing to list yours! I am challenged to do the same. Ann's gratitude challenge predates her book. There used to be a link-up for us t post our weekly lists, which I really miss!